Our licensed & insured professional house painters have been providing affordable residential exterior painting services to Upper Cape Cod MA homeowners for the past 20 years. Picture Perfect's painters & carpenters guarantee excellence on every exterior home painting project throughout the Falmouth MA area and surrounding Cape Cod communities. 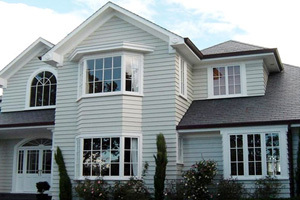 There are no shortcuts when it comes to residential exterior painting. Each step – planning, choosing colors, powerwashing, mold and mildew removal, killing all mold with bleach, surface preparation, weather permitting, priming, paint application, clean up, etc. – must be done properly to ensure that your Cape Cod MA home is protected from the elements, the value of your home and property is increased, and the beauty of your home is enhanced for quality living. Your Home Exterior Painting is an important aspect of your home long term investment plans, aesthetics, seal and protect from all elements, water damage, mold, and your home's value. We will work with you and your budget every step of the way. Cover all work areas with plastic and drop cloths (shrubs, plantings, lawn areas, yard furniture, roofing, driveways, walkways, etc.). Power washing / low pressure washing cleaning on all exterior surfaces of your home. (See Power Washing). Remove all mold and mildew, kill all mold with bleach mix solution to brighten and clean to prepare for proper preparation of all surfaces. Hand scrape all loose paint & peeling paint; sand and feathersand all surfaces. Allow adequate time for house to dry after power washing. Clean all work areas daily; leave the home neat and clean after every day's work, complete clean-up will be strictly observed at the end of each working day. Cover all work areas with drop cloths. 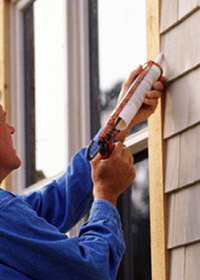 Caulk any gaps or cracks in the siding or trim with a paintable latex caulk - siliconized caulking prevents moisture from penetrating behind wood. Apply high quality primer (homes near the ocean all bare wood should be primed with oil base primer). If any cedar bleeding oil base primer will block out, and improve adhesion for the top coat. Complete clean up will be strictly observed at the end of each woking the home will be left neat & clean. Once all of the exterior painting preparation has been completed, your house is ready to be painted by our skilled home painters. We always cover all work areas with drop cloths while painting. We only use top quality lifetime warranty paints, stains, brushes, rollers, and painting supplies. 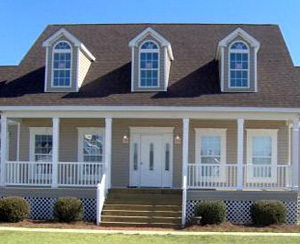 We will apply a three coat process of top quality lifetime warranty exterior paint also mildew resistant. Upon completion of your home exterior painting project, we will thoroughly clean the premises and leave the property in immaculate condition. The painting pros at Picture Perfect Painting & Home Improvements know you will love your newly painted house!